Havana, Feb 24.- The five Cuban antiterrorists will be decorated on Tuesday in this capital with the title of Heroes of the Republic of Cuba before the People’s Power National Assembly. Rene Gonzalez, Fernando Gonzalez, Antonio Guerrero, Ramon Labañino and Gerardo Hernandez served lengthy sentences in US prison since 1998 for reporting on violent plots organized by Florida-based terrorist groups. 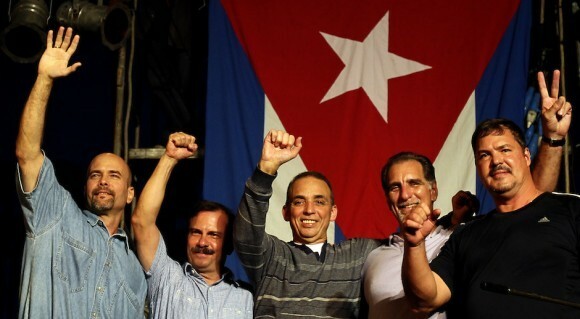 The Five, as they are known internationally, were granted that title at a special session of the Cuban Parliament on December 29, 2001. Rene Gonzalez and Fernando Gonzalez were the first to return home after serving their sentences entirely. Some time later, on December 17, 2014, Antonio, Guerrero, Ramon Labañino and Gerardo Hernandez arrived in Cuba.